On April 7, 2017, the U.S. Citizenship and Immigration Service (USCIS) announced that it received sufficient H-1B petitions to meet the regular and advanced degree caps for Fiscal Year (FY) 2018. Yesterday, USCIS announced that it received more than 199,000 cap-subject H-1B petitions for FY 2018 and that on April 11, 2017, it conducted a computer-generated lottery of these 199,000 petitions to select 20,000 petitions under the Advanced Degree Cap (U.S. Master’s degree or higher) and 65,000 petitions under the regular H-1B cap. The 114,000 remaining petitions have been rejected by USCIS and will be returned to petitions employers along with the filing fees. While the number of H-1B petitions received by the agency for FY 2018 is down 16% from FY 2017, the fact that USCIS has been forced to reject petitions for 114,000 high skilled workers illustrates the need for an increase in the availability of these visas for high-skilled workers in the United States. Despite the fact that the H-1B cap often leaves U.S. business unable to secure the high skilled workers they require to fill professional specialty occupation positions, President Trump has announced that he will sign an Executive Order on Tuesday, April 18, 2017 that directs agencies to review the H-1B program and more strictly enforce the H-1B visa laws. Administration officials have incorrectly characterized the H-1B program as a system awards visas randomly with no regard to skill or wage. 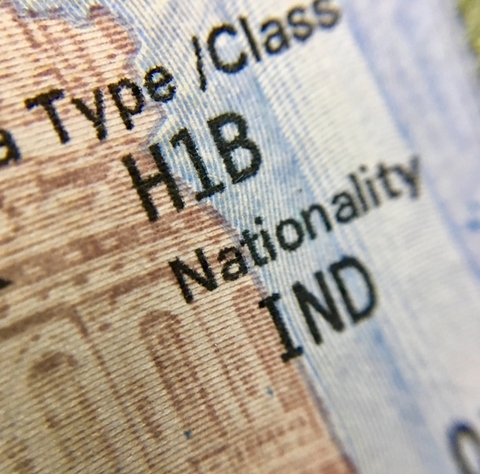 In fact, in order to qualify for an H-1B visa, the employer must demonstrate that the proposed position qualifies as a “specialty occupation” – requiring at least a Bachelor’s Degree for entry into the field; that the employer has specialty occupation work immediately available to the proposed worker and throughout the H-1B period; that the employer is an active business; that the employer can and will pay the requisite “prevailing wage” as determined by the U.S. Department of Labor; and that the foreign national employee is qualified for the position by virtue of his or her educational background and/or experience. Since the H-1B visa category is governed by statute, any meaningful change to the H-1B program will require Congressional action. Notwithstanding the fact that the number of H-1B petitions filed for FY 2018 decreased from FY 2017, the current H-1B cap coupled with market demand leaves U.S. Employers with only about a 43% chance of being able to the hire professional, skilled foreign workers they require to maintain and grow their business in the United States. For more information on the H-1B visa and status for professional foreign workers, the H-1B cap, Trump’s Executive Order or the need for immigration reform, please contact Kolko & Associates, P.C.